Please note that this list is not comprehensive and new opportunities are announced frequently. We encourage you to keep updated via grant announcement sites and the FLLS Weekly Bulletin. As part of the New York State Family Literacy Grant, Member Libraries can apply for mini-grants for supported projects. Public libraries in our service area may apply through FLLS for a construction grant to fund up to 75 percent of a three-year project. FLLS member libraries may receive between $500-$5,000 each year to help under-served groups and people with special needs to use their library. Applications will be reviewed annually in March. Please visit the Outreach Services page for more information and the application form. This grant cycle was inspired by the Bernard Carl and Shirley Rosen Library Fund which seeks to promote genuine intellectual curiosity and a lifelong love of reading and learning, by promoting greater and easier access by youth to local libraries. Eligible applicants are the 33 public libraries in Cayuga, Cortland, Seneca, Tioga and Tompkins counties, the 5 counties of the Finger Lakes Library System. A private, family foundation that provides grants to charitable organizations primarily in Central New York. Applications are accepted four times per year. Established in 1927, the Central New York Community Foundation encourages local philanthropy by supporting the growth of permanent charitable endowments for the betterment of the region. For Tioga County agencies. The foundation has awarded $7.25 million in grants since 1997. Grants awarded to local agencies within the Cortland community. The Fred L. Emerson Foundation’s grantmaking is focused on Upstate New York with a concentration on the founder’s community of Auburn, Cayuga County and the surrounding region. Supports programs and projects in the areas of health, education, recreation, human and social services, aging, and the arts in Tompkins County. Support is also givento requests for capital expenditures and “seed” money for new or innovative projects and programs. Grants to organizations that enhance and benefit the residents of Tioga County. A charitable foundation which provides grants to agencies that support quality of life of senior citizens within Tioga County, New York. Provides grants primarily to graduate fellowships, educational programs serving children and youth, marine and tropical ecology, scientific research, and human services. There is no website for this foundation. For more information, please call 607-257-1133 or email Katherine Coin at KSC@triadfoundation.org. This grant provides grants to nonprofit organizations that help teens build technology skills. The average grant award is $5,000. Organizations must be located within 50 miles of a Best Buy to qualify. Winners receive a grant (ranging from $2,500 to $20,000), educational and promotional materials, and access to online training resources and opportunities to develop and produce community-wide reading programs which encourage reading and participation by diverse audiences. Approximately 75 organizations are selected annually. $2,000 mini grants t0 start a Día family book club at your library. Dollar General provides Summer Reading Grants, Adult Literacy Grants, Family Literacy Grants, and Youth Literacy Grants. Awards of $500 are given to public schools and public libraries for projects that foster creative expression, working together and interaction with a diverse community. Grants of $250-$5,000 are available annually to support local efforts to build and sustain a high quality of life in rural America. The award recognizes a NYS library or library consortium that has taken significant steps to improve the quality of library service to its users. Digital Humanities Advancement Grants (DHAG) support digital projects throughout their lifecycles, from early start-up phases through implementation and long-term sustainability. Public Humanities Projects grants support projects that bring the ideas and insights of the humanities to life for general audiences. Projects must engage humanities scholarship to analyze significant themes in disciplines such as history, literature, ethics, and art history. NEH encourages projects that involve members of the public in collaboration with humanities scholars or that invite contributions from the community in the development and delivery of humanities programming. This program recognizes innovative library-based literacy programs for high-need families, particularly if they serve intergenerational audiences. Three libraries will win a $10,000 grant and a trip to NCFL’s annual conference. The National Medal honors outstanding institutions that make significant and exceptional contributions to their communities. Selected institutions demonstrate extraordinary and innovative approaches to public service and exceed the expected levels of community outreach. These organizations have established themselves as community anchor institutions. This statewide regrant program helps non-profit organizations serve cultural organizations and artists locally and regionally. Many of the NYLA sections and round tables offer scholarships to attend NYLA and awards for conference programming. RASS (Reference & Adult Services Section) is also offering programming mini-grants between $50-$200. The Distribution to Underserved Communities Library Program (DUC) distributes books on contemporary art and culture free of charge to rural and inner-city libraries, schools and alternative reading centers nationwide. Browse and order their available free books. Firstbook donates high-quality youth materials (you only pay the shipping) to organizations who serve low-income families. Grants for youth education, specifically in the areas of science, technology, engineering, mathematics, the environment, job training and literacy. Project Grants, Reading and Discussion Grants, Family Reading Grants and many Special Initiative Grants are available. The Pilcrow Foundation, a national non-profit public charity, provides a 2-to-1 match to rural public libraries that receive a grant through its Children’s Book Project and contribute $200-$400 through a local sponsors for the purchase of up to $1200 worth (at retail value) of new, quality, hardcover children’s books. 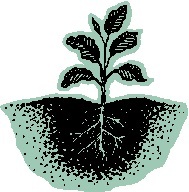 Poets & Writers provides up to $1,500 to cover fees for author readings and writing workshops. The W.K. Kellogg Foundation supports new ideas about how to engage children and youth in learning and new ways to bring together community-based systems that promote learning. This foundation funds projects which support family literacy by fostering and promoting the development and expansion of new and existing literacy and educational programs. Finger Lakes Grants Information Center – Their mission is to create a resource for our local communities to provide the information and tools necessary to attract funding to Auburn and the Finger Lakes region from foundations, federal, state and local governments and other grantmakers. Also offers access to the Foundation Directory Online Professional on location in Auburn, NY. The Foundation Center – The largest and most comprehensive resource for researching foundations. The Foundation Center: Visualizing Funding for Libraries – Track and find funding for libraries by using this free data tool. Grants.gov – The access point for over 900 grant programs offered by the 26 Federal grant-making agencies. Library Grants Blog – Grant announcements provided by the authors of Winning Grants: A How-To-Do-It Manual for Librarians. NYS Library Selected Grants and Fundraising Resources Page – A comprehensive list of resources for finding funding and other funding resources for New York State Libraries. Institute of Museum and Library Services – A National Database of Foundations and Charitable organizations that fund libraries. NYS Grants Gateway Site – Link to NYS Gateway Portal. Offers a listing of funding opportunities from New York State. Basic Guide to Outcomes-Based Evaluation – Designed for for Nonprofit Organizations with Very Limited Resources. Grants Champion – Resources for writing grant proposals, including a free Grant Writing Revealed ebook, an assessment quiz, and articles. Grantspace Online Training – Learning opportunities designed to develop skills, practices, and behaviors which best prepare people working in the social sector for success (many are free). Grantspace Proposal Writing Resources – Videos, FAQs, sample documents, and more. 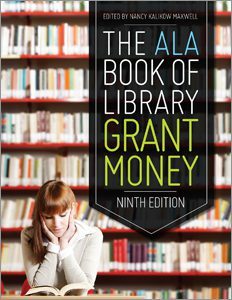 Library Spot: Getting Grants – Find funding sources online. Make It Rain: How to Write a Killer Grant – Presentation from NYLA Conference 2017. Outcome-Based Evaluation Basics – Learn the basics of OBE, brought to you by the Institute of Museum and Library Services. Outcome-Based Evaluation Training – Training in writing Outcome-Based Objectives from the NYS Library. Purdue OWL: Grant Writing – This resource provides general guidelines for grant writing in general and in the scientific disciplines. Turning the Page Online: Building Your Library Community – A free library advocacy training course developed and presented by the Public Library Association (PLA). Winning Library Grants Webinar – Archived 2011 Webjunction webinar and associated links. American FactFinder Community Facts – Find popular facts (population, income, etc.) and frequently requested data about your community. Census Quick Facts – Basic statistical data for counties and selected cities. City-Data – Stats about all US cities. Children’s Defense Fund – The Children’s Defense Fund champions policies and programs to improve the odds for America’s children. Diversity Data Kids – Explore hundreds of measures of child well-being and policy analysis from a unique information source that documents diversity, opportunity, and equity among US children. Kids Count Data Center – KIDS COUNT is a project of the Annie E. Casey Foundation to track the well-being of children in the United States. National Center for Education Statistics – The National Center for Education Statistics (NCES) is the primary federal entity for collecting and analyzing data related to education. NYS Free and Reduced Lunch Statistics – Select the County, change the Claim Period to Dec, check the Public School box and click Find. You can copy and paste into a spreadsheet. NYS Dept of Labor Statistics – Unemployment and job rates. NYSED Data Site – This site provides a first step in publicly reporting educational data so all interested parties can be better informed as they work to advance student achievement. Policy Map – Easy-to-use online mapping with data on demographics, real estate, health, jobs, and more in communities across the US. FLLS Advocacy – Statistics about public libraries. I Love Libraries Quotes – Quotes from famous people about their love of libraries. FLLS offers grant writing resources in our professional development collection, available via the catalog.